﻿ Spring has Sprung—New Hampshire Style! Spring has Sprung—New Hampshire Style! 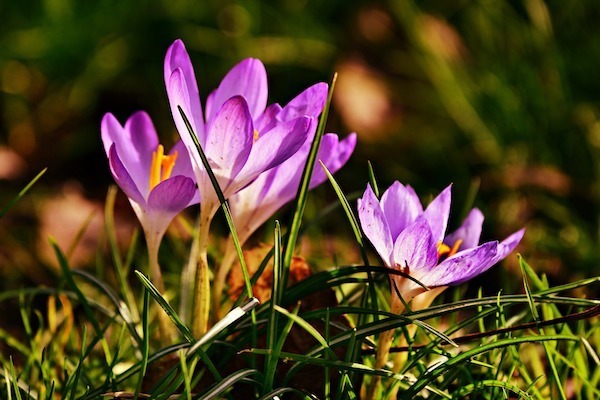 Springtime is upon us in the Monadnock region, which means it’s time to stow away the snow gear and dust off your shorts and t-shirts! Luckily, there are plenty of places outside to spend the upcoming warm weekends. Here are a few options to get you off your couch and into the action in the most scenic state on the East Coast. 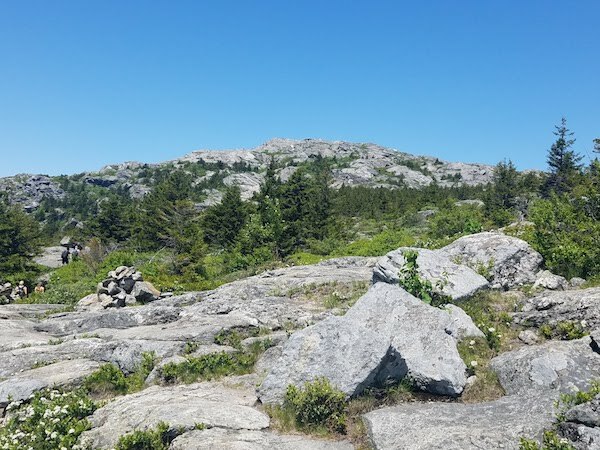 Perhaps the most obvious and popular choice when it comes to getting outside during spring in the Monadnock region would be hiking famous Mount Monadnock. With entrances located in several of the area’s beautiful, historic towns (most notably Jaffrey and Dublin), Mount Monadnock has earned the title of second most-hiked mountain in the world (after Mt. Fuji), with more than 125,000 people hiking it per year. The level of difficulty varies depending on which way you choose to hike up, so novice hikers can make the climb just as easily as more experienced adventurers. There are several main trails to the tippity-top, all varying in distance and difficulty, so plan accordingly depending on which trailhead you choose to take. The White Arrow Trail has been deemed one of the easier trails, with a longer distance but a steady incline. Good for families with small children! The White Dot Trail is a more difficult trail. It’s the shortest distance, but there are many complicated sections, including steep and rocky terrain. Not for the faint-hearted! The Old Toll Road/Halfway House Trail starts out on a toll road for about a mile before turning into moderately steep terrain. It is similar in difficulty to the White Arrow Trail. The Marlboro Trail is the oldest (and steepest) trek; much like the White Dot Trail, you can expect rocky terrain. The Dublin Trail is another old trail and makes for a slightly easier hike to the top! Pumpelly Trail is the longest (about 4.5 miles). Birchtoft Trail is about 3.5 miles. Many locals will choose to do a sunrise hike once the weather gets warmer, and they’ll all tell you there is no better place to watch the sun greet the Granite State. At the top, you’ll see rolling hills complimenting the glistening lakes at golden hour, and miles of open pastures welcome the sunshine with a warm embrace. It certainly gives you an excellent idea of what the day will bring in New Hampshire, and is simply a sight like no other! When you’re done, hop on over to any of myriad breakfast spots in the area for a toasted slice of locally-made bread and a cup of artisanal coffee. Pull up a chair and rest your feet after feeling on top of the world. Who knows – you might even run into the man who has hiked Monadnock every morning for 35 years and hear a few of his famous tales! For those who want to spend a leisurely day out with the family and have small children to entertain, check out one of the local farms. The region is speckled with kid-friendly pastures that welcome families to take part in a picnic on their land or enjoy an animal petting frenzy. Many offer a chance to feed the animals, try tasty local treats (for the humans), and pick up a variety of handmade or local items. 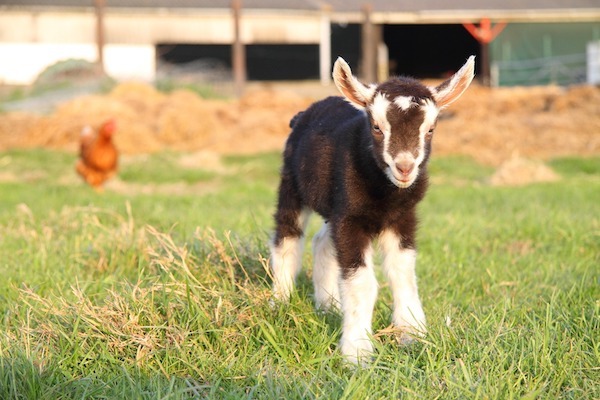 So make some memories with the baby goats, and then take home a lilac-scented soap or a jug of NH’s famous maple syrup—it’s a treat for your family AND your tummy! With the wet and rainy season approaching, New Hampshire’s beautiful waterfalls will be in their glory! 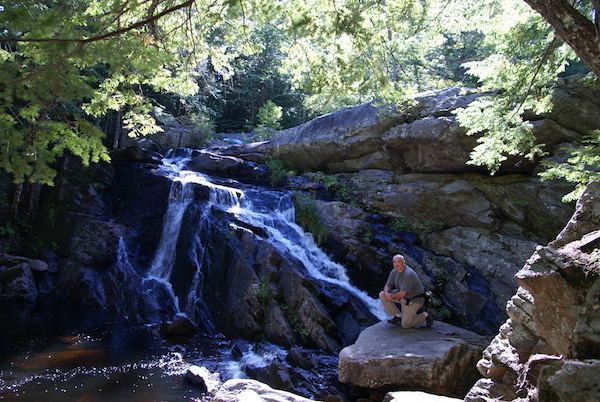 The Monadnock region has quite a few waterfalls to offer, including the stunning Garwin Falls in Wilton. Located just off of Isaac Frye Highway, the trail to the falls is relatively simple to get to, and you will not be disappointed. Pack a hammock and set up shop for a while; maybe even wear your bathing suit, weather permitting. Garwin Falls offers a picturesque view with hiking to match; there are miles of simple trails to follow along the quiet stream that stems from the falls. For more adventurous hikers, Purgatory Falls (located on Purgatory Road, just one town over from Wilton, in Lyndeborough) is the perfect spot to spend whole a day. The trail is a little more difficult than Garwin, but the view of the falls is absolutely worth it, especially during the rainy season—the falls simply gush! 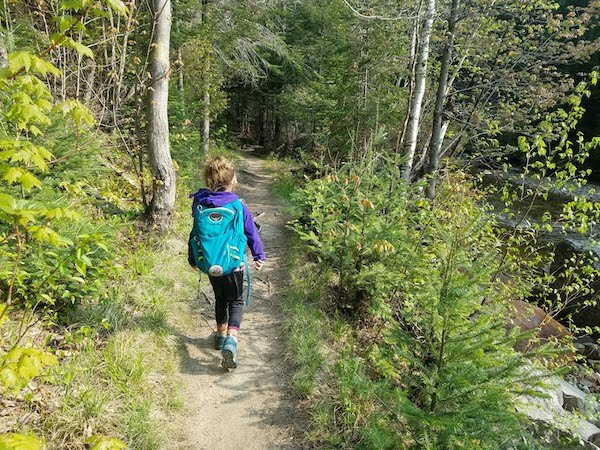 Like Garwin, Purgatory offers a variety of trails behind the falls, and you can spend hours getting lost in the hazy green forest and lush scenery, with the area giving a truly spring New Hampshire feel. Whichever epic adventure you choose to take in the Monadnock region, you’re sure to make this spring season one to remember, New Hampshire style!